The Terms and Conditions set out in this Agreement apply to the use of our website and by using our website in any way including buying from us, you agree to be bound by them. 1.1 Whilst every effort is made to keep up to date and accurate information contained on this website, any typographical clerical or other error or omission in any sales literature, price list, acceptance of offer or other information issued by us is subject to amendment by us where reasonable to do so. 1.2 All descriptions, weights and sizes of goods/products are those of the manufacturers and you may not rely on their accuracy and may vary between different brands and styles. Accordingly, any such descriptions shall not form part of this agreement. 1.3 We do our upmost to provide high quality images of all our goods/products but occasionally they may not be a true representation of the item and colours may vary. 2.1 Choose your goods/products and carefully complete the order form by following the instructions on our website. You are responsible for ensuring the accuracy of your order and the details provided on the order form. 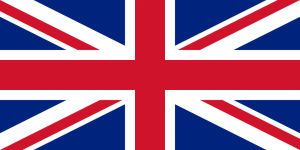 2.2 Goods/products are only delivered in the United Kingdom. 2.3 If your chosen goods/products are in stock your order will be processed. We will deduct the price payable for your chosen products from your nominated debit or credit card. We will accept your order by email and advise you when we shall despatch your order. This is when our contract with you is made. 2.4 Should you not receive your goods/products within 15 days or receiving confirmation from us of availability and your despatch date please contact us to let us know. 2.5.4 If we owe you money we will credit the card that you used to place the order as soon as reasonably possible and no later than 10 working days from you advising us to do so. 3.1 The price of the goods/products shall be the price quoted by us on our website next to the illustration/description of the chosen goods/product, unless otherwise agreed by us in writing. 3.2 You must pay us the full price of your order before we will send out any part of it. In addition to the price there may be a delivery charge – details of which are set out in our Delivery Policy. 3.3 The price is inclusive of any payable value added tax (VAT) in the United Kingdom. 4.1 Deliveries will be made by the courier to the address stipulated in your order after you have received a confirmation email from us. You must ensure that someone is present to accept delivery. 4.2 Goods/products are at your risk from the moment they are picked up by the courier from our address. 4.3 We may deliver goods/products in instalments if items are not available at the same time for delivery. 4.4 Specific details regarding delivery times can be found in our Delivery Policy. 5.1 You may return the goods/products to us using the delivery slip enclosed with your item(s) provided they are returned in the same condition as received and within 14 days of receipt of the goods/products for a full refund. If they are returned within 14-28 days we will offer a credit note for the unwanted items. Anything received after 28 days will not be accepted and you will be responsible for reclaiming the items. If the items are not collected after 90 days we reserve the right to destroy them. 5.2 All goods/products should have their original tags and labels attached to them. 5.3 We will only despatch replacement items at your request upon receiving the original items. 5.4 You are responsible for ensuring that the items are returned, at your cost and undamaged. 5.5 We have no obligation to collect or recover goods/products from you. 6.1 Risk of damage to or loss of your chosen goods/products shall pass to you on delivery of them. 6.2 Notwithstanding delivery and passing of risk in your chosen goods/products or any other provision of this Agreement, property shall not pass to you until we receive cleared funds and payment in full of the price of your chosen goods/products. 7.1 You agree that you have provided, and will continue to provide accurate, up to date, and complete information about yourself. • Any third party who acquires the whole or a substantial part of our business. 7.4 We will always follow strict security procedures in storing, using and sharing the information you give us, to prevent unauthorized access to it. These security procedures may mean that proof of your identity may sometimes be required before information can be disclosed to you. 9.1 If any provision of this Agreement is held by any competent authority to be invalid or unenforceable in whole or in any part, the validity of the other provisions of the Agreement and the remainder of the provision in question shall not be affected thereby. 10.1 Our terms and conditions including our delivery and return policies do not affect your statutory rights. Our terms apply to each visit and any purchases you make from our website. The terms were last amended 1st November 2018.